Womens Gym Belt is inspired by and designed after our best-selling Basic Gym Belt. It’s anatomically shaped for a close fit and feature an extra vide front for a strong back and abdominal support during heavy lifts. It’s equipped with adjustable Velcro closing and a stylish Better Bodies print is placed at the back. Anatomically shaped – offers a comfortable fit! Material: 60% neoprene, 40% nylon. Lining in 100% polyester. 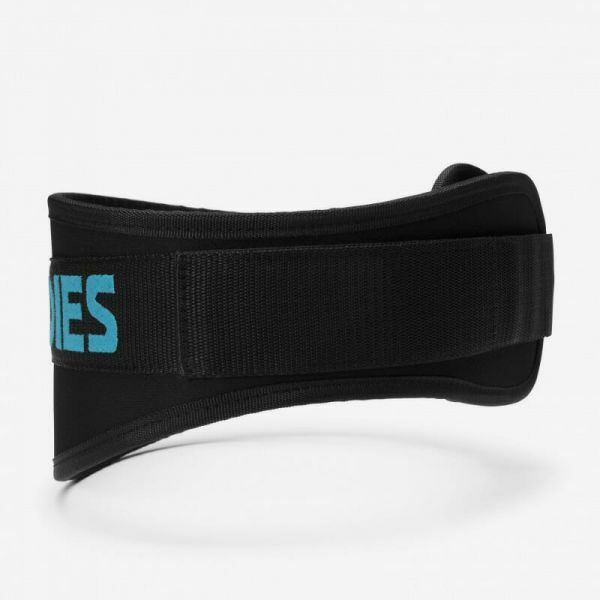 Weiterführende Links zu "Better Bodies - Women's Gym Belt, schwarz-aqua"
Kundenbewertungen für "Better Bodies - Women's Gym Belt, schwarz-aqua"